March 1st is a rather notable day in Bulgaria where we celebrate with a tradition of giving each other "martenitsas". Martenitsa is a small piece of adornment, made of white and red yarn and worn from March 1 until around the end of March. It is related to the Bulgarian tradition of welcoming the upcoming spring. The month of March, according to Bulgarian folklore, marks the beginning of springtime. Therefore, the first day of March is a traditional holiday associated with sending off winter and welcoming spring. 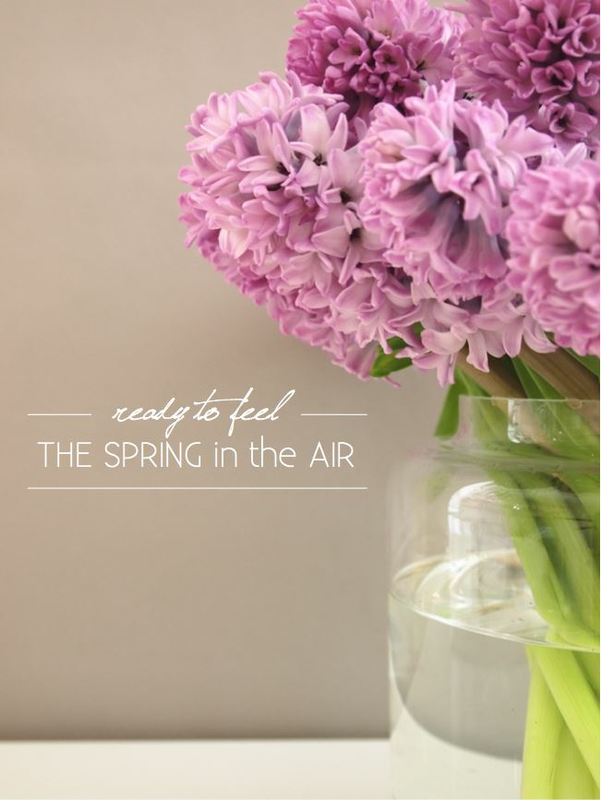 Another way we celebrate this day is with hyacinth flowers! And since I do not quite have access to martenitsas, I did celebrate the best way I can via flowers! I was lucky to find a sweet deal at Whole Foods (buy one get one free and the price of one was a mere $4.99!). And what is so great and sad about this post is that I cannot show you how divinely they smell. But you will have to trust me on this one! Happy beginning of Spring!! Posted on March 1, 2015 by Katya Popova and filed under Be Inspired and tagged martenitsa March 1st Bulgarian traditions.